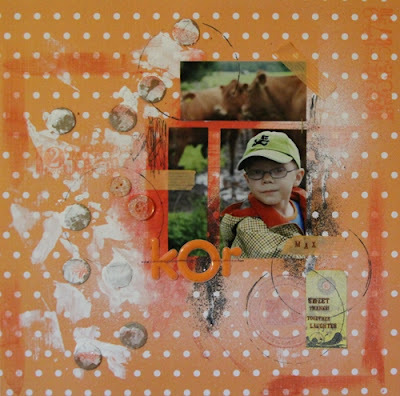 A lot of oldies here; Paper from Kesi' art, Thickers from American Crafts. Washi tape, gesso and buttons from my stash. Tiny types and sentiments from Cosmo Cricket. Spent my time beeing creative with the computer today, making a header and some blogg buttons. Just a perfect activity when you feel soggy from a cold. 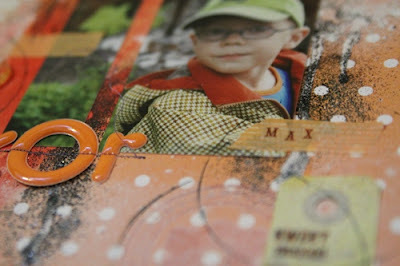 For you who are on top of your creative energy - there is an orange and cool challenge over at Punky Scraps right now. My page for it above.